playing to each others weaknesses and strenghts. Nonu adding weight as well as strength to the defence, and Williams being the agile fast reliable penetration of any line. This is an ideal pair, to any team, All Blacks or not. 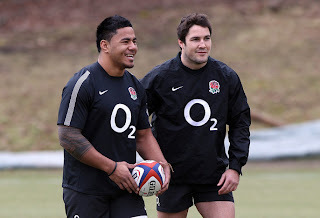 In the English squad that beat New Zealand, Manu Tuilagi and Brad Barritt really made an impetuous performance. However Tuilagi really did end up taking the trophy as he outplayed Barritt. That said Barritt did have a good performance as well. Were he to have played 12 ? Things could have turned out slightly different than expected. The All Blacks are solid tacklers in the tight defence compared to that of out on the wing channels. Centers altogether in a nutshell are the making or breaking of any team. Having most crucial breaks, tackles and tries coming from their areas in the backline. Overall I think that Every team should have one playmaker and one powerhouse for centers. Playing to their strengths and weaknesses and complimenting their style of play.